I was very lucky to receive a Warhammer Chapel a few months back as a belated birthday present. 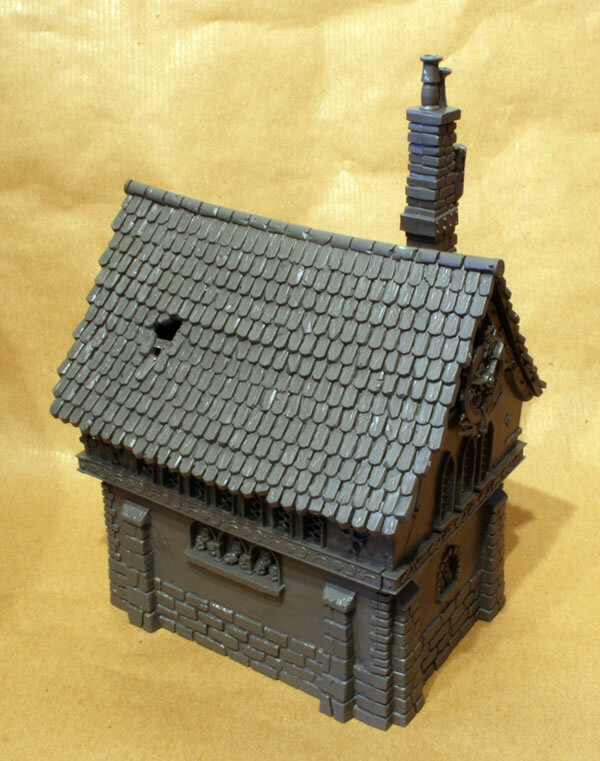 This is one of the new very nice plastic building kits for Warhammer Fantasy Battle. 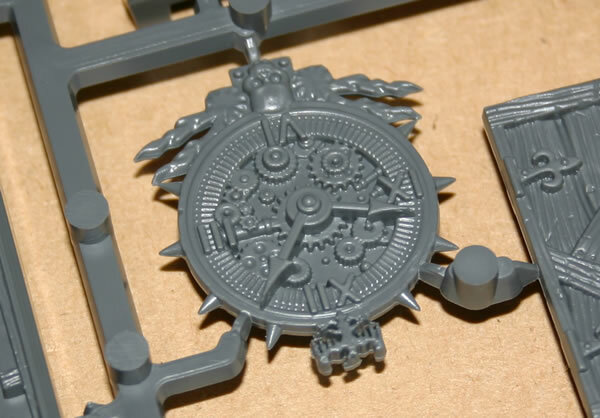 In the "A4" sized box you get two sprues with all the parts and extras on them. 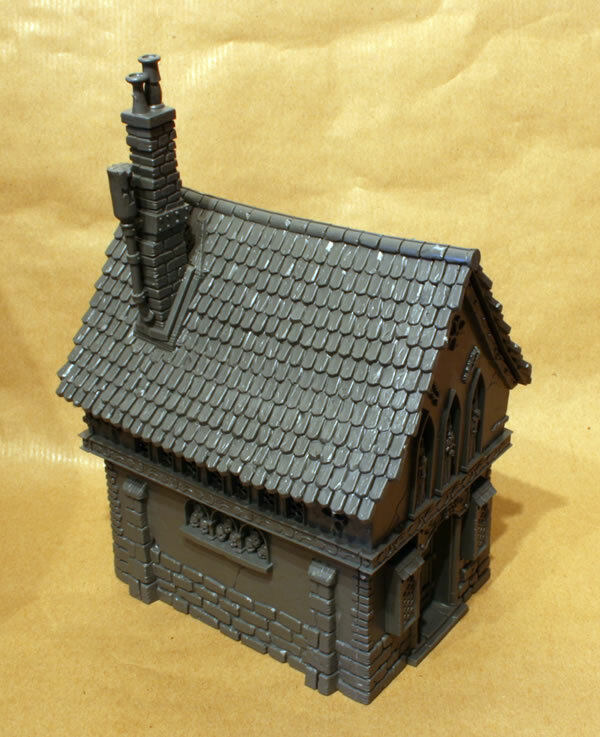 Though I may use it for Warhammer 40000, it should also fit in with my collection of Steve Barber buildings. This looks like it will be quite a substantial kit, as the plastic parts are quite thick compared to other plastic building kits I have made in the past. There will also be quite a few extra parts which I will be able to use on other models as well. I do like the detail though, look at this clock for example. 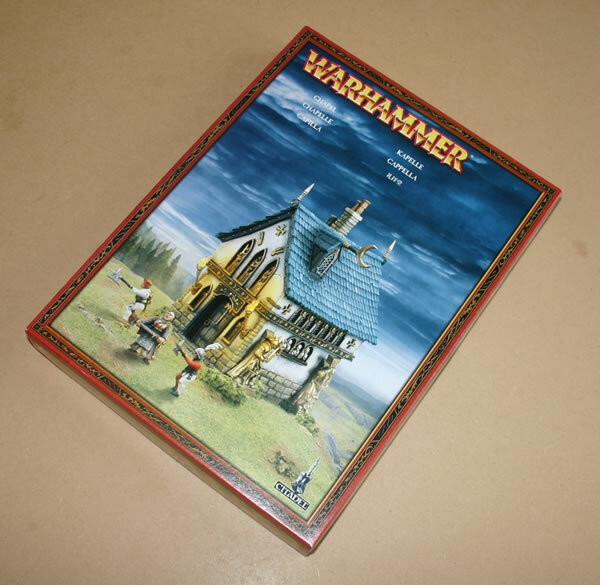 I hope we see more building kits in the future, it would be nice to see some more accompanying buildings as well as Orc or Elven constructions as well. The model went together really well. The instructions are clear and easy to follow. I decided to have the chimney rather than the window. The next stage will be the undercoat, I will be using a black undercoat.